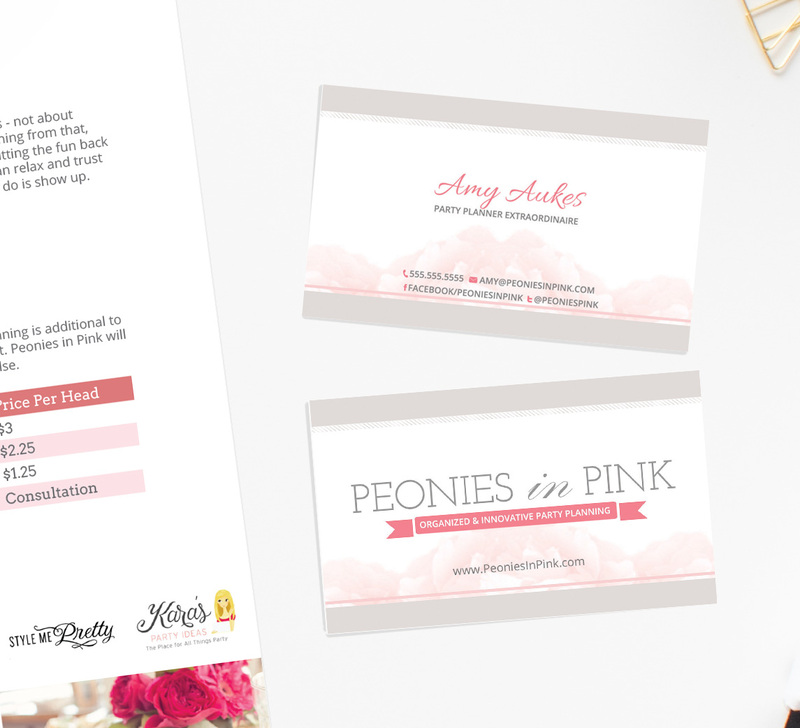 Peonies in Pink was a commissioned piece with a brand, one-page media kit, and social media assets. 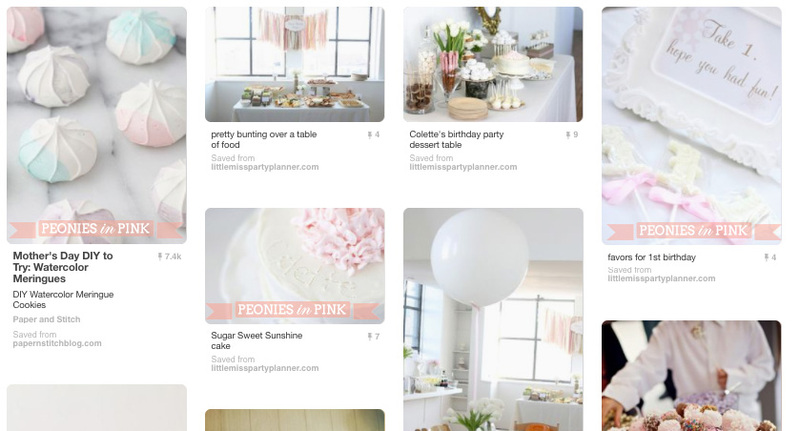 The business plan included a Party Planning Blog and a Party Planning business. The client has purchased the Chamomile WordPress theme and requested a brand built from the pink ribbon concept included in that theme. The result is something analogous to the source material, but that stands alone without the theme as a feminine and sophisticated brand. Because of the heavy influence of social media in the business plan, I generated a template for the brand that allowed quick and easy Facebook and Pinterest sharing image to be created. 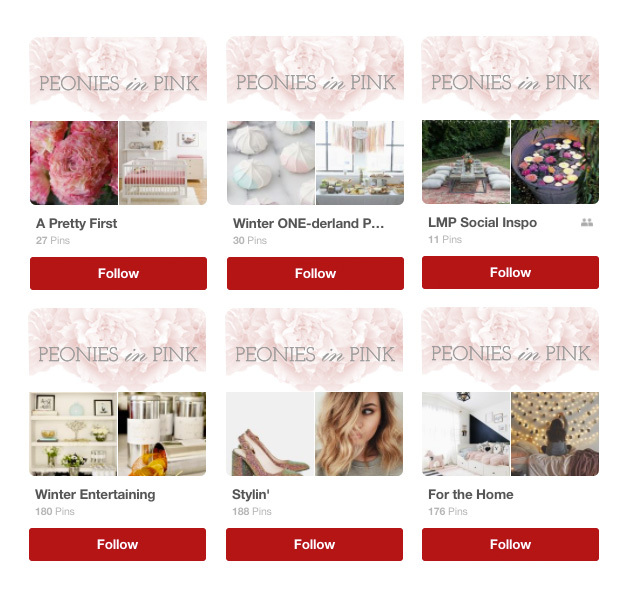 This also included cover images for all social media channels, including branded board covers for Pinterest – which helps the brand to stand out in that large marketplace.